03/09/2006 Electronic Warfare - Or what? Sometimes when running Basewars on a dedicated server, everything in the environment stops working - such as the asteroid base, robot respawns, etc. On some systems the level will crash when exiting the mission. This is because the Black Pyro ship has been replaced in the tablefile. For some reason, because of the way it was designed, it will crash if you change it (or even include it in a custom table). There is NO known workaround to this, only that on some computers it works and others not. Since Basewars requires a fresh instance of Descent 3 to run properly. The level doesn't crash at endgame, it just crashes when you exit. This is likely a paging error. The Infested "Soldier" Drone is not attacking targets with it's melee. Instead it's just pushing the player around. The objects MOL Hunter, MOL Munin, MOL Inferno, GS Barrager and GS Temple have one or two corrupted faces that are invisible when lighting. This is a result of a broken face that is not detected by any editor. The result is, upon applying lighting to the level, the faces disappear while ingame as if they were never there. While the face still exists, the game can no longer see it. Planets don't render properly in Direct3D (black outline). This is because planets cannot be saturated, and in Direct3D the alpha channel does not work correctly - Thus resulting in the transparent area to become black. Fixed a bug where the asteroid base locked forever. Fixed a problem where the teleporters broke after excessive use, also a problem with the team identification for player bases was found, so it had to be removed! When running a dedicated server, NPC bot "fighters" aren't spawning - This is because the matcens are visibility based. They will be switched to script-controlled for the next update. When jumping through a stargate, players instantly travel to the next gate. But, because the player appears at the point where other players must go to subsequently jump the other direction, it was causing problems with being able to go anywhere at all as the player keeps jumping backwards and forwards. To resolve this, a timer was added to the stargates so that you'll get 5 seconds to clear the gate before you could activate it again. 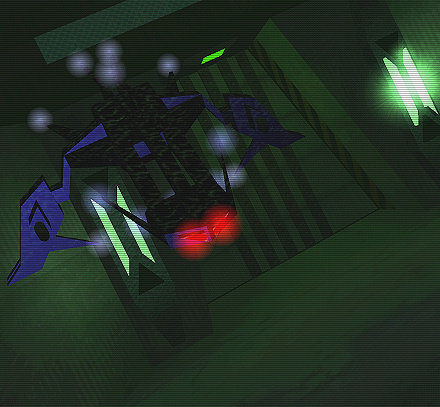 When using the energy centre at both repair hangers (blue/red), a warping error occurred where the player moved outside of the level. The energy centre was created using a room within a room technique that inputs a box inside a room. Sadly, this box had become corrupt, so the box was removed and subsequently the room which held the box became the energy centre. Keycards - A method had to be created which allowed Red players to freely roam in their base, but not in the other team, and vice versa. It was decided a keycard would be used that stored the information in the client machine. The server will then check for that information when the player tries to access a base. However, it team changing is allowed in matches, then it's possible to exploit this. As a result of possible exploits, all player weapons will be disabled inside the teams bases. Rewards - When you kill an NPC (bot), you get rewards like a special weapon. But it felt like there just wasn't enough rewards, so some extra energy and shields were added to the larger ships which require considerable effort to kill. Gemini Energy - An energy centre was added to the abandoned Gemini Outpost, as a means for players to fuel up outside of their own base. A similar refuel was added at the Maltu Outpost. A system had to be implemented in the asteroid base (aka secret lab) where players can get locked in for a certain amount of time, and have to destroy the Tier 1 boss to gain access to the Tier 2 boss, which subsequently unlocks the lab once dead. The system itself will loop every 20 minutes or so. HUD messages were added telling the player where they are ?So jumping through a stargate will then tell you what system you have arrived in. One of the cruise platforms in the playerbases didn't appear, it was later found that it shared the name with another matcen and thus was the result it never appeared. Some additional content was added to the level, including spews, custom explosion sounds and effects. The Infested Drone system was no longer repeating. The Tier 1 and Tier 2 boss drones spawn, however they don't respawn later. This was because of the complexity in the scripting. As a simple solution, a script was created that determines when the boss was destroyed, and later (via a timer) respawns a new one on the matcen. A problem was found with the cockpit information. The D3 cockpit model shouldn't be used in Basewars - Because it doesn't belong on those ships. Ingame, that worked fine, however when trying to run a dedicated server any changes made to the cockpit.oof crash the game, nor does changing the entry in the INF file work. So, for now, we'll have to have the standard cockpit. Ambient looping (clipping) errors of the ambient sounds in the level - This is present in low-quality operation only, and is corrected by altering the length of the sound files to an even number, so that the looping end can be set to an even number too. For example, a sound that loops at 1.765 will clip on each loop, whereas 1.700 will not. Drone Matcen Sounds - A simple typo of some matcen sounds, meaning that the default D3 matcen sounds were still being used instead of a hall ambience. Shield Sound - The shield impact and force impact effects were too loud, in some cases blotting out all other sounds. They were reduced by 50% volume. Drone bot alert sounds - The drone bots were not triggering their corresponding alert sounds. It turned out they were 16-bit stereo, which D3 doesn't support very well. Locking sound - The missile lock sound was getting old and tedious, so it was replaced with a newer one. Artillery Impact sound - The artillery impact sounds were not working ingame as a result of an incorrect bitrate, also, the sounds themselves were reduced in volume by 50%. Weapon spawn sounds - The spawn sounds for when weapons are generated at Matcens was too loud, and reduced by 50%. The default D3 energy sound was replaced. Originally when jumping at Stargates, a sound effect would play from the gates at both ends, however because of CPU reasons, it was decided that the stargate sound would play only for the player who jumped through it. Some weapons use more energy than originally intended. They will be reduced by about 50%. Gunpoints on the Horus - The Horus was firing guns from one gunpoint instead of both, which was fixed. Projectile impact force - The impact force of the projectile weapons was too strong, often resulting in players being knocked all over the place upon receiving multiple hits. This was fixed by changing the mass of the bullets. Also, the projectile weapons were responding to concussive forces - Which adds more lag and looks stupid, so it was fixed. Shock rail lighting - The lighting should be purple, but was instead orange. Missile speeds - The Palermo Invader was too fast, and the Cruise missile was too slow for a short range weapon. These were tweaked slightly to balance out the game. Shockwave Bomb - The weapon attached to the MOL Hunter and MOL Inferno (Cruise class bots) didn't work, known as the Shockbomb. It was just a simple matter that an extra space had been put after the name in the weaponslot. Tsk. Can't believe how hard it was to spot that. Drone boss firing - The drone boss associated with the secret lab-outpost thingy was not firing all of its guns, which was merely a gunpoint reference error. Merlin Ion's - The MOL Merlin uses small Ion guns (lasers) at close range, but it was found it's firing angle was off, meaning even up close it couldn't hit. It still suffers from this problem, but I think its only fair to make it a little weak considering its supposed to be the first NPC you'll come across. Medium Blaster Damage - Also known as the Plasma Blaster, it's a large version of the standard laser. But, because of earlier adjustments to the firing range, it was determined the damage was far too great when comparing with the velocity and energy usage. This has been corrected. Ion Impact Size - All Ion lasers (used by bots) impact animations were too big for the corresponding weapons, causing a slight ugliness factor. Orion Corona Trail - The trail of this old missile has been changed somewhat, and it was a little overdone which caused huge FPS drops when launched. This has been corrected slightly, but the weapon itself still remains quite a laggy one. The Doom Vulture, the most damaging missile ingame, was simply not doing enough damage to NPC ships. It was decided that the damage will remain the same against other players, but will be 10x increased against robots. I forgot to add an Afterburner cooler for each team. Yes, it's now in. Phew. The damage of the Heated Plasma and Prototype Shock railguns damage was too small for the amount of energy consumed, so it was increased. These rails should now be weapons of choice when you have them. The amount of ammo for the C6H Artillery gun was a little bit high considering it's high damage, so the powerup and subsequent ammo clip had about 50% ammo removed. Fixed glitches at base entrances in the form of a blank-face appearing just some distance from the entrance. 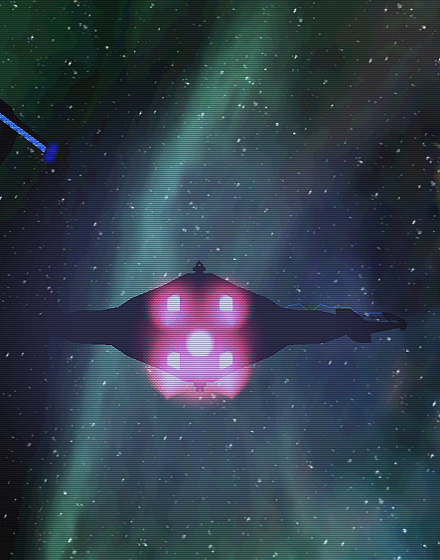 Mercenary Glow - The Mercenary/Bandit ships glows were too big for the ships, dwarfing out the fighters themselves. Mercenary Muzzle Flash - The blasters muzzle flashes were not rendering, and it was simply a texture that had been renamed during creation. Animated Nebula Alphas - Some of the animated nebulas had incorrect alpha settings, or needed some tweaking to look decent ingame. The outside environment didn't work in Direct3D, and it mostly appears black. The problem was soon found to be the depth of the rooms was too great, and so it was reduced by 200 units. D3D should now work! Some animations were too heavy for the game, and caused big dips in the framerate when paging them into memory. It was decided that some of the 256x256 animations would be reduced to 128x128. MOL Sentry Spawn points - The location where the Maltu Sentry Platform spawns was bugged, and the sentries themselves appeared inside the outpost as opposed to outside it. This was fixed by placing an invisible object that acts as a spawn point for the sentrys. NPC Aggression - All of the NPC bots were set to attack players only after being fired upon, but since it would make it possible to pick them off one at a time, it was changed so that fighters always attacked and large ships would only snipe players until engaged. Debry position - The position of one of the debry fields was such that it merged with some asteroids, causing some minor clipping errors- the debry field was moved out of the way. The Playership Isis was too fat and couldnn't fit through all areas of the bases. It was given a weight watching plan and resulted in losing a few pounds. The Playership Horus and it's variation Mercenary Horus was a little bit too speedy, so it was reduced by about 25% to balance it out with the others. The player deployable platforms have had a limit imposed on them, both in how long it takes them to respawn and how many in total there will be. This is to prevent hoarding and to ensure a wiser use of them. Wobbles - NPCs were wobbling before exploding, it turned out the 'Delay Sparks' in the death type was causing this. It works for small ships, but when a ship 20 times larger than you starts doing the salsa before exploding, it ain't pretty. Some ships were not entirely exploding, as their turrets remained. This was the result of a scripting error where the incorrect 'SavedObjectSlots' had been used. Run in Team Anarchy only. Basewars cannot be run in any other mode. Set 9pps or more, depending on your connection. Basewars uses lots of CPU and bandwidth, so a connection that can handle 6 players could only handle 3-4 in this level. It is better to run without a server tool - Create a manual dedicated file and run it that way. Yes, it takes a little bit more time - However it's less buggy. Sometimes the level won't even end because of the server tool. If you plan to play against robots, then it's better to create a private game for players to join. If you have paging crashes, open the hyperspacegenesis.mn3 file and copy "PyroGL.oof" into your Descent 3 directory. It is better if your server does not have Mercenary installed. This can mess with some data in Basewars. It is better to have no goal limit and no time limit. Since Basewars is meant to be played "base vs base", a goal and time limit would mess with the goals. Do not disallow ANY objects. You must allow all objects, including InvisiblePowerup's and the like. These damage tables show you some information about the weapons on each ship. Although most of them are identical, some ships get special bonuses to different weapons which affects their overall DPS. ROF = Rate of Fire, ENERGY = Amount of energy used per shot, DPS = Damage per second, assuming 100% accuracy and BEFORE resistances, MULTIPLIER = This determines if the weapon has an NPC damage multiplier. If the multiplier is 1x, then the DPS will be the same. If the multiplier is 2x, then the amount of DPS will be twice the amount inflicted on an NPC. So a weapon of 30DPS with 2x multiplier will do 60DPS against robots. Damage tables for NPC weapons have NOT been included in this table. BURST assumes the average damage when the weapon actually hits. This does not include NPC multiplier or shield resistance. The number is an average raw figure. For some missiles, more damage is done in an area as opposed to a direct impact. 10% bonus to all missiles ROF. 75% reduction in Doom Vulture energy usage. 25% bonus to all railguns ROF. 50% reduction in Doom Vulture energy usage. 25% bonus to all blaster ROF. So, what's the secret to a good base? Why, shields ofcourse! Although D3 technically doesn't support shield-systems for robots, it is possible to simulate shields or create the illusion that an object is shielded. Originally, I had intended to develop a unique script that would not only simulate shields, but even have a shield visual effect to complement it. I never went ahead with it though, as it was just something on paper and I couldn't be bothered to do all the work required to meet my exact needs. So instead, I came up with the idea of using Shield Generators for Bases. Apotheosis used a similar idea, where you have to destroy the invidivual power conduits inorder to destroy the final reactor - That final reactor thus lowered the external bases shields, allowing the other base to attack with it's lucifer-esque weapon. Well there isn't any beams in Basewars (they were always a pain to get right) - Thankgod for that! We've had enough of beams for now. Each base has four external shield generators (the green things) - Destroying these will render the base vulnerable, although there may be some more work required if you want to destroy the command tower. Shields on objects, are essentially just a way of saying "this object/ship has more armour resistance" - Since D3 doesn't use a visual effect for shields on non-player ships. 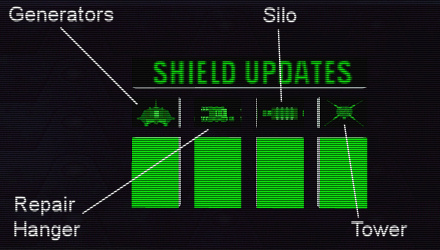 But, I figured we'd call it shields anyway. Each base has a health monitor located in their weapon storage room - This monitor will show the levels of shield remaining in a bar-format for each vital asset. The first row indicates that the shields are active - Once it's blacked out, that means all generators are down. Playerships in Basewars ofcourse, have shields - Each ship has a "percentange" of resistance to weapons fire. This is always the same no matter the difficulty setting. The weakest is the Horus Interceptor, with only 50% resistance to weapons. That means if a missile does 20 points of damage, then it will be reduced to 10 when hitting. However, if that same missile hits an Isis Bomber, then the damage will just be 2 points - Because it has the highest resistance. NPC ships (bots) have a "base" amount of hitpoints. When playing in hotshot, they have a resistance of 0%. If however you decided to play in Ace or Insane, then the resistance goes up - That's why they are harder to destroy. Going below hotshot though will cause a "penalty" effect to be placed on bots, meaning they have a negative resistance, I.E -25% for Rookie. Developers hint: Armor Scalar defines the resistance of a ship in Descent 3. It works in decimal values, so 0.5 is 50%. 1.5 would be a negative of -50%. In Basewars, the Horus has 0.5 (50%), Merc Horus 0.45 (55%), Seth 0.3 (70%) and Isis 0.1 (90%). Each ship get's a unique penalty for it's resistance, the Isis' having been made extremely slow. I made them quite tougher than the default D3 settings because of the long "flying" time in Basewars. You might be unable to reach a refuel/repair area for quite a while. Bots don't have scalars, they just have a set value. Playerships have a set 100 hitpoints (200 maximum). Pretty soon it's going to be time to test the level. This is where my team of monkeys pick apart the level. But that doesn't mean they can just do what they like! Oh no, they've got an action plan to odibe by. This is that action plan. Kinda. Aside from just making sure textures work and models don't randomly combust, there is more to test than just the technical side. The idea is, every part of the level needs to be tested in some way. To make it easier, I'm going to be writing down what those things are. For example, you'll be asked to test the various deployable sentrys. Do they work accordingly? Do they target the right players, and what is their damage output like? You get the general idea. The main part of Basewars, despite having lots more to play with - Is the bases themselves. Although players may find themselves distracted by other things to do, the overall objective of a team game is to destroy the opponents base. This is a guideline for testing/destroying those bases, followed by other testing routines for the level. The main structures consist of a Control Tower, Silo, Repair Hanger, Shield Generators and Jamming Array. Everything should be shielded BY the generators except for the Jamming Array. First you have to check that these structures are infact shielded and that their shields lower in the correct order. Keep in mind that testing this aspect of the level will result in endgame, so be sure to stagger your testing until you get around to this stage. You should be able to enter and exit each structure. You should not be able to enter the opposing teams base. Make sure that you can damage the Shield Generators. If so, proceed to destroy them. If the Shield Generators are destroyed, the Silo and Repair hangers should be vulnerable. Once the hangers are destroyed, the Command Tower should be vulnerable to attack. What is your opinion on structure hitpoints? Each base has an armory. This armory is available just underneath the starting area. You can see two arrows pointing to the correct direction. In this room, weapons will be produced by timed-matcens. Each weapon has it's own respawn time. The minimum respawn time is 5 seconds (standard rockets) while the maximum respawn time is 4 minutes (the larger artillery). Check that each weapon respawns. The maximum time is 4 minutes. Ensure that you cannot fire weapons inside your base. There are five standard guns and five missiles available. Check the damage, ROF, velocity and usage of each weapon. Does the weapon have a firing and impact sound? 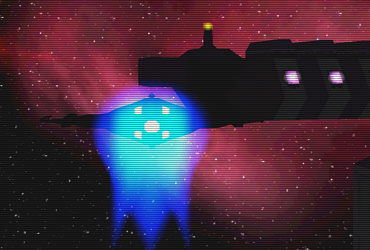 The Jamming Array is designed to "slow" down enemy ships by projecting a stasis field onto a players engines. This will stop your afterburner from functioning and allow deployable sentrys to track you easier. It's the weakest base structure with no shielding, and looks sort of like a large turret. Check that the array ONLY slows down players from the opposite team. Check that after the array is destroyed the intended stasis effect stops. Deployable sentrys can be found in your base silo. NOT in the armory. The silo is outside your base. It looks a little like a box with purple (matcen) lights along the outside. Fly towards the entrance and you should then dock with it to collect the sentrys. Note that they have long respawn timers. Ensure that each sentry respawns. There is a maximum limit to each sentry. Check the damage a sentry can take. Combat opponent sentrys - Determine if their damage/range output is too little or too great. Do sentrys only target the opposing team? Do sentrys target NPC ships? Stargates in Basewars are not like the original stargate in Hyperspace Standoff. That gate was based on the "Ancient" jumpgate which was designed for large ships without jump engines. The new, efficient "personal" jump system in Basewars is intended for small craft from fighters to cruisers. To activate a stargate, you have to fly into the centre of it. Check that the Stargate visual and sound plays when you jump through. Ensure that the reactivation delay of 5 seconds is present after jumping. Can a player at the other end hear and see you jumping in? NPC ships, short for "not player controlled" ships are fairly prominent in Basewars. Although they are not part of the overall objectives in a team game, there is a LOT of NPC's for players to enjoy. They vary from small, fighter like craft, to huge battleships and outposts. There are even some missions that players can go on - Risky missions which can bring some unique rewards. Those rewards consist of special weapons that can ONLY be obtained from certain NPC ships. These special weapons are redone versions of the weapons you already have, and a few are entirely new weaponry. Each NPC has a unique respawn timer. 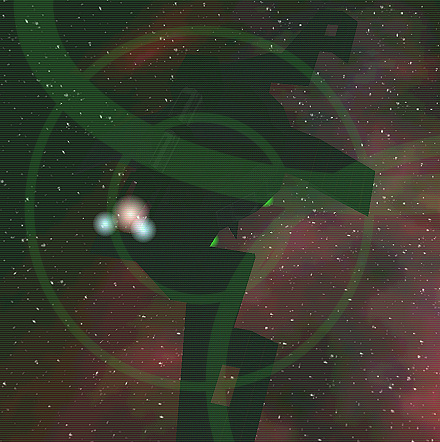 Fighters and Bombers are infinite in number and will respawn every couple of minutes. Cruisers, Battleships and other special ships will ONLY respawn a couple of times, and in DIFFERENT locations. Some of the nastier ones will not appear until much later in the level. The idea behind this "staggered" approach is to increase the playtime for players who prefer Co-Op style playing. Combat some NPCs. How is their ROF, Speed, Hitpoints, etc? Determine if NPCs drop "loot" spoils. Theres about a 50% chance for some ships, so don't get upset if you get nothing. Do sentry platforms attack NPCs? Do NPCs attack ALL players, and do they try to defend against sentrys? Are all turrets destroyed when the parent object is destroyed? Keep in mind these tests are NOT for the technicial side. I can't lay down a guideline for things I don't know are there in the first place such as broken animations or scripts. Each computer and setup will react differently to Basewars. I know this from first hand experience. Basewars requires a GOOD system, not necessarily a brand new one - Just a good one. If there are major problems occuring solely on your computer, then it's more or less out of my hands as theres only so much that can be done for such a project. But, you should always report it anyway! The stealth module is an idea I came up with that isn't going to be included in the level, nor may it ever be included. The idea behind is that a powerup would be generated every 10 minutes or so - And that powerup when picked up by a player, would then give them the ability to switch to stealth mode (it would be a one time activation only, similar to a cloaking device, but with no time limit). Stealth mode is basically just a cloaking device that never turns off - However, you wouldn't be able to do anything other than scout the enemy. When running the stealth module, your ship would no longer be able to use afterburners, nor fire any primary or secondary weapons. You can turn it off at any time, however you wouldn't be able to reuse it until collecting another one. The reason I never implemented it, is quite simply because the scripting is already maxed out as it is, also, the module would be limited to perhaps 5 respawns, after that it would no longer appear. Another module that probably won't see any light is the self-repair kit. This kit basically lets you quickly boost your shields to maximum at the cost of energy. It's similar to the energy->shield converter, however, it can only be used once to set your shields to 200. It would be a useful module to use when you are *far* away from your own base. An effect would have been added which indicated to other players that the one who used the module is visible, so that players can't accuse someone of hacking their shields. The problem again, is there wasn't enough room to implement this module. Also, there was an idea to create a "remote repair" module that lets you repair either other players, or to repair your base assets. The remote repair module would effectively turn the player who is using it to a "logistic" ship with limited weaponry and shields, but vast amounts of energy for repairing. One of the things I had originally wanted to include in Basewars is thrusters and trails for NPC ships. The idea would've been that each NPC engine had a "cone" thruster, which is basically an animated texture. Sadly I forgot to include it when buiding the models, so to include it would require going back to redo them (which is quite irritating)! Second, engine trails - Basically just energy sparks/energy flames that would spew from NPC engines over a very short distance. The problem with this is both CPU and Mutliplayer lag, so it won't be included in multiplayer. However, if a good setup can be found, then I will create trails for the single player version. Ships don't leave debry or break apart, mainly because it's Multiplayer. Laggggg! However, plans have been made to "break apart" some of the ships in the single player level, so when they explode, they'll explode in pieces until eventually going up in flames. This would probably only apply to large ships or objects. An infestation has occured! The word is, that the Maltu Orion Legion have been experimenting with new ways to attack their enemies. It started with a basic nano-virus designed with one thing in mind: To destroy. That virus was later explored further, until efficienct mechs were designed - Mechs that were small enough to attack a target from within. The Maltu scientists implanted a code in the virus that would prevent it from attacking their creators - But as their luck goes, that virus was reprogrammed by an elite squad from the Mercenary Confederation. The result of that reprogramming gave the "drones" the ability to learn and adapt, and combined with their killing instinct - It eventually lead to the drones breaking out of their original programming and overcoming their creators. Since then, infestations of drones have been appearing on numerous outposts at the fringes of corporation regions - Often completely inhabitating bases, leaving no survivors. Infested Drones are efficient machines that can operate for days without needing to recharge their energy reserves. 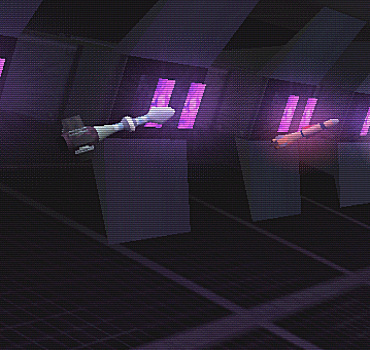 Developers Hint: You might remember the handy little deployable drones from Hyperspace Apotheosis. These are basically redone versions of those drones, although I decided the original models were a little crappy - So I decided to give them a bit of a redesign. And an evil-esque splodge of paint. These drones aren't deployable, infact, they aren't for players - They will try to kill players instead. Electronic Warfare - Or what? It's something of a hidden feature in Basewars that I will try to explain here. Although some of it was unintentional, I decided - It would be best to give it a fictional reason! First let's cover the first question you will probably ask after a while of playing Basewars. You might notice that all the larger ships (including Cruisers, Battleships and anything bigger than a Frigate size ship) can't be locked onto with homing missiles. There are several homing missiles in Basewars, each has its own unique tracking efficiency (also known as POV and Thrusters). Take for example, the Hornet Missile (which replaces the Frag) or the Blood Cruise Missile (replacing the Mortar) - The first has a small POV, but a fast velocity. It can't make sharp turns, however. The Cruise missile on the other hand, can almost make 360 degrees in-flight. Now that's cleared up, you'll notice neither of them track larger ships. This is because that larger ships use a ��guidance jamming system (GJS) which prevents any missile locking onto them. Since some of them are so slow, you can still predict the trajectory of the target and fire your missile accordingly. You also cannot lock onto the Turrets of larger ships - Although they appear as individual objects ingame, they are infact treated as one whole object, merged together - Hence why you can't lock onto them either. The GJS works much better in Multiplayer as opposed to Single Player. Developers hint: The real reason you can't lock onto them, is because larger ships are technically buildings or clutter, which missiles don't see as robots. You'll notice when playing Basewars that you can't use your Afterburners or Weapons in your base. This is because a jamming system is enabled which prevents you from doing so. It's essentially a safety system that prevents accidents and fights from occurring in sensitive areas. Some larger and older bases don't have this equipment, and thus are vulnerable to attack from the inside. Only stationary bases use jamming equipment due to the power requirements. Carriers aren't capable of generating a similar jamming field - however, they are capable of anti-jamming - Which will effectively shut down the opponents jamming systems, opening it to attack when the overall objective is to capture the target instead of destroy. Developers hint: The main reason I implemented this is to prevent players killing each other in their own bases. Although it's not possible for players from the opposing team to enter your base, it is possible to exploit it. Here's a current list of every ship (including both Playership and NPC ships) that are being included in the "Genesis" level, which is the multiplayer version of Basewars. Yes, that means a single player one is planned - But nothing is certain yet. You'll be able to find more information about each ship by going to the Hyperspace section on this website. Only read them if you want to be spoiled. If you don't want to know what's what in Basewars, don't go there! All of the weapons have been completed. After the first test of the first semi-stable alpha build, I'd encountered several bugs and errors with them. After clearing those up (missing textures, incorrect sound formats, table flag typos) I'd gotten down to testing. In total, there are ten guns and ten missiles. There are two groups of weapons - player weapons and faction weapons. Player weapons consist of five guns and five missiles (plus two clips) that can be found in the Base Armory. The armory has been scripted so that each weapon has it's own seperate respawn time - This is very important for two reasons, A - It reduces the overall lag and B - It balances things out and prevents hoarding. Basewars doesn't go as crazy as it's predacessors - The weapons are simplified, yet elegant in their design. The first group is the player owned weapon group. Or, in Basewars terms - Weapons produced by the Earth Alliance. The second gun is the Medium Blaster. This is just a larger version of the small one, and it delivers a more lethal charge at the cost of ROF, velocity and energy usage.
" Blasters operate on a low-energy rule. They are capable of producing fast bolts of firepower that can be directed toward targets with efficiency, while still using a minimal amount of energy compared to other guns of it's time. Blasters and their sister technology, Ion cannons, are among the most widely used weapon in the alliance and all neighbouring corporations due to their ease of use and fitting. " The third and fourth guns are Artillery Cannons. These are not like your regular projectile guns - They are slower moving and intensely shield ripping - Among the most damaging weapon in there. It comes in two types, the C4L and C6H Artillery. The only difference is damage, ROF and ammo storage. Typically, the smallest artillery will come with about 5000 rounds, and the larger no more than 500 rounds. Additional clips can be collected in the armory of course.
" Projectile weaponry isn't as common in the Alliance today as it once was. The problem with any projectile weapon is that it has to be constantly reloaded, and requires huge storage space for the ammo - Especially when used on Battleships and Carriers. Despite that, it still is widely available on the market and deployed at alliance outposts due to the cost-effectiveness of any projectile weaponry, and despite their age, projectile weapons have a sheer brute force that smaller energy weapons lack. " Then we have the Rail Cannon. This gun has a fast ROF and a fair amount of damage. It's essentially an accelerated version of the blaster, and is not as accurate as a mass driver.
" Railguns are accelerated bolts of energy, similar to blasters yet compressed into a stream that is propelled through a chambre - Spewed at a speed that is over 100% faster than regular cannons. Railguns are capable of piercing targets armor from great distances, and they are increasingly becoming popular on ships throughout the populated areas. Capital version of Railguns are a recent development - And are slated to replace the beam technology that has, while effective, used up many resources within the alliance. " That is all the player will start with, just those five guns. The following guns must be obtained from NPCs or other players who have already looted them. Some of the weapons are harder to find than others, and some might come in a limited supply. The first is the Maltu version of the rail cannon. It's just an improved version that can make your enemy jealous if they don't have it. The next two are the Heated Plasma Railgun and Shock Prototype Railgun. These rails are lethal, and use up much bigger chunks of energy. They have limited range and slow ROF, but if you score a hit on an already weak opponent - It'll probably explode in a ball of flames. These railguns are the most powerful guns that a player can use. The final two primary weapons are the 25mm Ion and 50mm Ion. These are just alternative weapons to Blasters. They have a slightly improved damage vs rof ratio. Now let's move onto the secondary weapons. Again, we have two groups - five missiles per group. The first five are available in the Base Armory. Standard dumbfire rocket with a limited heat seeking ability. Hornet rockets are small and effective, and are used on nearly all fighters and bombers in the alliance. Delivering an explosive charge with good ROF and velocity - They are not to be sniffed at. Tornadoes are upgraded versions of the Hornet's. They have a slightly better heat seeking system, and deliver a unique kind of explosive charge designed to tear apart hull plating. Paradise missiles are the smaller brothers of the famous Cruise Missiles. They contain a substance dubbed as Thor Energy - It's fairly bright and pretty, making them a unique weapon - Mixing beauty and destruction. Like all Cruise Missiles, the Paradise is fitted with the most advanced tracking system that can be used on missiles of this size. This is a smaller version of the Cruise Missile used on Battleships. It's designed to be carried mainly by bombers, but can be fitted to smaller ships that have the latest missile launchers. It tracks with deadly accuracy, able to make a full 360 degrees turn before it'll burn it's fuel up - And even if it can't find it's target, the warhead will still detonate hoping for even a bit of damage to be delivered. The Doom Vulture is a warhead that has recently been developed by the Alliance. It's barely out of the testing stage, but scientists believe it is ready for deployment. Despite that, anyone using this warhead should be advised to get some distance before detonation. The Doom Vulture uses a large amount of Thor Energy combined with a chemical that produces a terrifying reaction - It opens up a brief subspace portal in the layer of space itself. Much like the Paradise that paved the way for it's creation - the Vulture is both pretty and deadly. This special issue Palermo Invader has been engineered for use on Mercenary Confederation craft. It has no special computers onboard, but packs a pretty big punch if it actually hits it's target. The Palermo Invader is their answer to the standard Hornet Missile. It is packed with Gleam Energy making it a very effective dumbfire missile, and it is rarely found outside Mercenary controlled space. The Mercenary Issue Rekhmir Cluster is another brilliant weapon mastered by Confederation scientists. It is believed the Maltu Orion Legion were originally behind their creation, but somehow, the Confederation were able to obtain the prototype and all related documents. The Rekhmir Cluster was a weapon originally conceived as an upgrade to the Swarm Cluster bomb, widely used on many platforms. The popular "blue" flashing effect was a sight well known to pilots - But the Rekhmir uses Gleam Energy in an attempt to improve the damage of it's warhead. 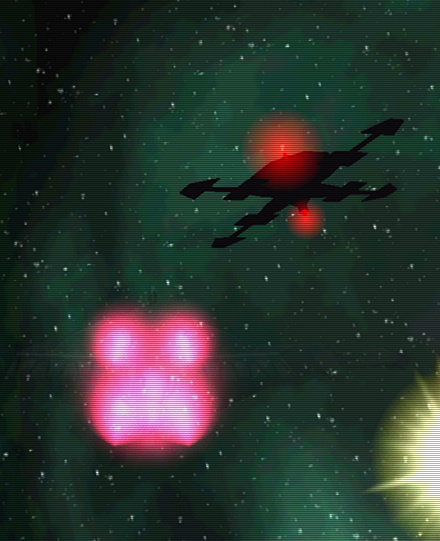 Cluster bomblets from the Rekhmir are also capable of dodging objects to reach their target. The Gemini Sydnicate construct the most brutal ships and weapons alike. The Sphinx bomb is a classic design inherited from many hundred years before. Although not commonly used by the Alliance today, the Sphinx is still an effective warhead to be deployed during a dogfight. It sits silently for 30 seconds before exploding. 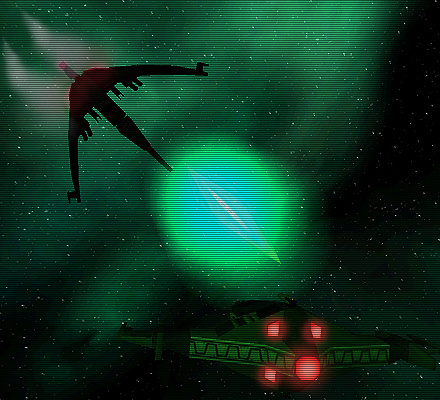 Many Gemini Syndicate ships use a weapon that is unique to their design, and the Berserker is mainly found on larger ships. The Berserker is designed to melt away the opponents armour, leaving it open for attack from an artillery volley. It uses a simplistic heat seeking system and effective thruster to quickly reach targets. The Orion Corona has been used by veteran pilots for many decades. It has always been a product of the Maltu Orion Legion, but it's distribution has reached every corner of the galaxy. Although the Orion missiles are nowdays constructed by the Alliance, many suppliers do provide them at a hefty price. It is fortunate these cluster bombs are still costly on the market for pirates and bandits, otherwise there could be some serious damage done.